Family Office Insights sits down with Dune Ives, the Executive Director of the Lonely Whale Foundation, which was born out of the full length documentary, 52: The Search for the Loneliest Whale, to discuss the foundation’s mission and how they plan to inspire change and improve our marine ecosystem. What is the Lonely Whale Foundation? Why did you start it? The Lonely Whale Foundation officially launched in December 2015. Prior to its launch, we had a very successful Kickstarter campaign for the documentary film, which is now in post-production. By the end of the Kickstarter campaign, we had close to 38k Instagram followers, a response that was truly remarkable. People were submitting artwork, stories, emailing us to stay involved and volunteering. Their submissions and stories were so inspiring in part because they were so moved by and attached to the character of the Lonely Whale. In essence, these early followers became 52’s original virtual pod. His story stirred something inside of each of them. His story of loneliness, isolation and calling out to no response spoke to them in a way that was unimaginable when we began the Kickstarter campaign. We knew we were onto something special with these early supporters, but didn’t yet have anywhere for their passion or inspirational submissions to live post-Kickstarter campaign. Luckily for us, Lonely Whale Foundation, had a nice ring to it. Had we changed the name to anything but it would have thrown off the energy of this early movement. So the Foundation was born. Our mission is simple: To bring people closer to the world’s ocean through education and awareness, inspiring empathy for the well-being of marine wildlife and direct and immediate action for ocean health. Our hope, which continues to be realized today, was that we could continue this movement by creating a space that people felt they were a part of and that they were accountable to help nurture and protect our marine ecosystems. Your mission and programs encapsulate far more ocean-oriented conservation efforts than just a singular focus on one whale or even one species of whale. Is there an effort or strategy to pivoting away from the 52 story to the larger story of ocean depletion? It is surprisingly rare that we get asked why we are working so hard to save only one whale, but when we do it’s a good reminder for us to make sure we are being true to our mission: leverage the singular voice of 52 to raise awareness for the ocean and the growing epidemic of human loneliness. In using his narrative, we aim to benefit all marine animals and ecosystems. We view the Lonely Whale, this sentient and emotive creature who has been swimming the Pacific his entire life calling out for companionship with no response, as a brand mascot for the ocean at large. It is his story that moves people to ask what they can do to improve ocean health. Our Lonely Whale experiences the vast array of ocean health issues: plastic pollution, ocean acidification, increasing temperatures, decreased availability of food, increase in devastating noise pollution and toxins, among others. These are issues that all marine animals face to varying degrees depending on geography and other factors. Simply by committing to make a difference, not just for one day but for today and well into the future, individuals can make a positive difference for all marine animals including our Lonely Whale. We ask that individuals to work together in a virtual pod, towards a common mission and outcome, and, in the process, this pod is beginning to creating a common bond and effectively address their own sense of loneliness and isolation. Does your audience focus especially intently on 52 and if so, how do you guide them in the direction of the larger issue? Does this occur in your K-5 education program? With the exception of Instagram, where we receive really beautiful whale-centric art, 52’s virtual pod gravitates to ocean awareness at large and individual actions they can take to improve ocean health. Perhaps that is the result of our intentional focus on ocean health as a whole but we think it is because 52’s story is one of empathy and compassion. Once you fall in love with the Lonely Whale, you develop empathy for his plight and his experience, that empathy then naturally extends to other marine life. Take, for instance, the story of one kindergartener who went through our program. While the course focused almost exclusively on blue whales, this student was so inspired they were able to convince their entire class to launch a fundraising campaign to adopt a sea otter. That is just a really good illustration of what we want to have happen. Hear the story of 52, develop empathy for marine life, and, finally, take an action that resonates on an individual or community level. You believe in public/private partnerships to further your mission. Can you tell us about a few you’ve engaged in? We believe in the importance of what we call collaborative philanthropy. Working together, organizations and individuals can go much further and faster towards the change we all seek. This philosophy and operating model of ours extends to the public and private sectors. There are specific roles each can play that leverage their strengths, capabilities and networks that will help us achieve the scale and ultimate impact we seek - ocean health improvement as quickly as can take place. Our most developed public/private partnership is with Dell, Inc. Adrian Grenier, one of our co-Founders, is Dell’s Social Good Advocate. In that role, he has worked closely with Dell to expand their corporate mission to include developing the first commercial scale ocean-bound plastic supply chain. Lonely Whale Foundation provides support to Dell by expanding their network to include the most critical ocean-bound plastic experts and policy makers to ensure their work is successful. On a more local scale we have been working with a restaurant group set to launch in New York City’s Lower Eastside neighborhood: Simply Hooked. We’ve helped them source sustainable seafood and ensure their entire operations are ocean friendly. And, last fall we held a pilot with Brooklyn-based Freehold for a campaign we are launching this spring called #StrawlessOcean to remove 500 million single-use plastic straws from our waste stream in 2017. This campaign relies on the private sector to make a business decision to transition from single-use plastic straws. In Freehold’s case that resulted in saving 1.5 million straws annually. Tell us about some of the education programs you’ve created. Our education program is focused on providing our youngest generation with the knowledge, tools, resources and inspiration needed to become our future environmental leaders. Kindergarteners today will graduate from high school just one year before we are to achieve our UN Sustainable Development Goals for ocean health and it is critical that we enable them to take the ocean health baton from each of us to ensure a healthy marine environment and planet well into the future. Our program has two initiatives. The first is our K-5 marine-based education program that is being developed in partnership with the Academy for Global Citizenship. Designed from the vantage point of seven sea creatures, living in seven seas, facing seven pollution problems. The bilingual (English and Spanish) curriculum is formatted for K - 5 grades and built in 10 lesson units. Each unit is focused on team problem solving and founded in fostering empathy. The curriculum meets Next Generation Science Standards and, in partnership with leading ocean health organizations, connects students and teachers with marine scientists and field researchers. Together, we are educating the next generation of ocean advocates. Our second initiative is being created in Canada as a pilot in 2017. “Catch the Wave” is a K-12 focused program focused entirely on empowering students to eliminate single-use plastics from their communities. Armed with science-based education and actionable tools, students will take on single-use plastics such as the straw, water bottle, cup, lid, bag and even cutlery and to-go containers. Many of the students we are reaching have never before been to a beach let alone on the water, but they each have two things in common: a desire to become involved with marine life and powerful voices that can change the state of our ocean’s health. Our program is nurturing that desire, providing them with a rewarding yet instructive experience to apply what they are learning and future explore their interests. In both initiatives, our goal is to create lifelong advocates for a healthy marine environment. What are a few of your upcoming events you have on the roster? I’ll be “hanging loose” with other ocean health advocates on Maui for World Whale Day February 18th. Look for my reports from the field. I’ll then join our co-founder Adrian Grenier at The Economist World Ocean Summit held on February 23rd in Bali, Indonesia, where Adrian is set to make an exciting announcement about Dell’s commitment to reducing ocean bound plastics. Back on the mainland, we will be continuing our Ocean Love Story panel series at Soho Houses across the US. Look for us on February 25th in Chicago, March 28th in Malibu and mid-April in Miami. These panels highlight local heroes doing exceptional work across our marine environment. Later in 2017, we’ll expand to London and Toronto and then come back to New York to wrap up our series. On March 30th we are formally launching our #StrawlessOcean campaign at the South Carolina Aquarium as part of the Plastic Pollution Summit where our co-founder Adrian Grenier is delivering the opening keynote. Look for announcements from our team on World Environment Day June 5th and the UN Ocean Week June 6th – 9th in NYC. And, importantly, Adrian will be hosting another swim. We’ll launch on June 21st and offer everyone the chance to join him with on-line educational tools to learn how to become a safe swimmer and find your connection to the ocean regardless of where you live or how good of a swimmer you may be. What’s next for you and for the Lonely Whale Foundation? We turned one year old in December of 2016 and feel really good about our work to date with Ocean Unite and the #MakeASplash campaign and our progress on developing a robust K-5 education program with Oceana and the Academy for Global Citizenship. For us, 2017 is a year of expansion of our education program across Canada and the US and eliminating single-use plastic straws through market and policy based strategies. We’ll continue to test and evolve our approach ensuring we are complementary and additive to the work of others. As we grow this year we’ll expand our Advisory Board bringing on top experts in their fields and, importantly, we’ll continue to stay focused on our mission to bring people closer to the world’s ocean by forging new partnerships that result in inspirational and impactful campaigns. Hopefully we’ll have time for a dive or two this year to help us stay connected to the place that we love…under the water. We hope you’ll join us! Dune Ives is Executive Director Lonely Whale Foundation. Through the lens of the world’s loneliest whale, the Foundation is a collaborative philanthropy that inspires empathy for marine animals and direction action to improve the health of our world’s ocean. By developing unique and highly leverage able partnerships and initiatives, Dune and her team are cultivating a global, connected audience that is inspired to work together to take direct and effective action. As the former head of Paul Allen’s Vulcan Philanthropy, Dune designed and oversaw several change-making initiatives that address key drivers of environmental degradation and species decline. Notably, Dune led Global Fin Print, Coral Reef Human Assisted Evolution, Smart Catch, I-1401 (the most successful State-wide initiative in Washington State history), the BLM Coal Leasing Program PEIS lawsuit and the Great Elephant Census for which she addressed a global delegation of elephant range state leaders on the critical importance of near-term elephant protection and conservation. Dune also led Paul Allen’s $100M Global Ebola commitment for which she addressed critical gaps in our global readiness to respond to virus outbreaks. Through private public partnerships she created the Global Medevac Response units, expanded the US’s air bridge capabilities and supported lifesaving behavior change based communications and trainings to on the ground workers and communities. 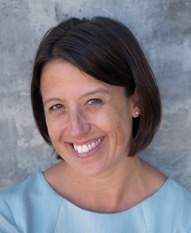 Prior to her work at Vulcan, Dune started and led Milepost Consulting, an award-winning consultancy dedicated to development of systemic behavior-based initiatives for large-scale utilities towards drastic and lasting energy use reduction. Notable programs include EScore for Tennessee Valley Authority and BetterBricks Commercial Real Estate Program on behalf of the utilities of the Pacific Northwest. Dune holds her Ph.D. in Psychology, is co-founder of The Green Sports Alliance and is an inaugural member of Al Gore’s The Climate Project. For more information, please visit http://www.lonelywhale.org/ or email Dune at dune@lonelywhale.org.